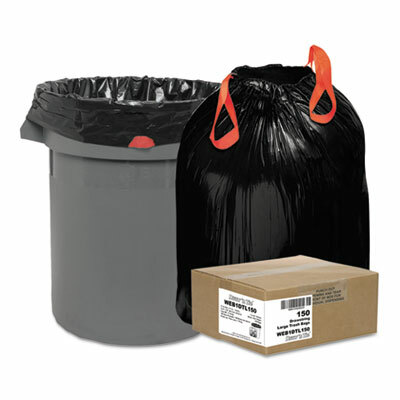 Heavy-duty draw and tie trash bags with super hexene resins are puncture resistance. Convenient drawstring closure keeps hands clean and free from contact with trash. Super hexene low density resins provide superior puncture resistance. Click here to see more Low-Density Trash Bags! Width: 24 1/2" Height: 27 3/8"
Width: 30 1/2" Height: 33"
Width: 33 1/2" Height: 38"